When discussing the necessary components of an effective strength training program it’s easy to get caught up in the common sense and forget about the smaller, albeit equally significant, details. Most of us appreciate the importance of full-body compound movements; we generally understand the positive benefits associated with a properly executed warm-up; and we recognize that sufficient rest is key to long-term success. However, even the most educated among us (strength coaches, athletes, and fitness enthusiasts alike) often neglect to appreciate the importance of the smaller details associated with these methods. In this article I will outline two of the most commonly overlooked components involved in developing an efficient strength training program. Whether you’re aiming for improved athletic performance, body composition, or general health, appropriately integrating the following practices into your training regimen will likely yield astounding results. The first time I read those words I remember feeling like an intellectual superstar as I was forced to audibly sound-out each syllable. Sure these terms are nice to know, but why is paying attention to load vectors crucial in the development of optimal strength and conditioning programs? Generally speaking, the most commonly recommended exercises among strength coaches and fitness enthusiasts are variations of the Squat, Bench Press, Deadlift, Overhead Press, Rows, and Chin-ups right? Well, when we break these movements down into their respective load vectors we find all of them are either axially (Squat, Deadlift, Overhead Press, Chin-ups) or anteroposteriorly (Bench Press, Rows) loaded. While each of these movements are fantastic in their own right, if an individual is to only train in one, two, or three load vectors, he/she is neglecting to strengthen other necessary movement patterns thus setting her/himself up for injury in the future. So what should you do? 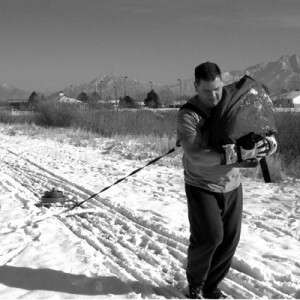 How should you incorporate various load vectors into your strength training routine? First and foremost, I encourage you to analyze the movement patterns you/your client must go through in competition or on a day-to-day basis. Strengthen these movement patterns through the use of various specific exercises designed to target the individuals needs and goals. A Powerlifter competes in both axially (Squat/Deadlift) and anteroposteriorly (bench press) loaded vectors. To train these movements specifically one must use similar exercises which have the greatest carryover to improved performance. A soccer player competes in axial (jumping), anteroposterior (sprinting), lateromedial (side-to-side), torsional (rotating)…pretty much every vector. As such, specifically training a soccer player requires a great deal of variety and a significant amount of strength development in each load vector. While it’s important to strengthen individuals for the specific demands of their sport, it’s equally important to strengthen them from a general standpoint as well. Therefore, it would be wise to include strength training in all vectors and planes of motion to prevent the formation of muscle imbalances and weaknesses which may increase an individual’s likelihood for injury down the road. In addition to specific movements such as variations of the Squat, Deadlift, and Bench Press, Powerlifters should also include general exercises in separate vectors focused on strengthening all contributing muscle groups. Coaches and fitness enthusiasts often overestimate how much work is required to establish a training effect. Fortunately, with little to no extra time investment, load vector training can easily and effectively be incorporated through various movements, drills, and exercises during the warm-up and strength training session. During the Warm-up: Activation drills such as variations of X-Band Walks, Glute Bridges, Scapular Pushups, and Planks are great ways to include a range of load vectors. During Strength Training: Variations of movements such as Barbell Hip Thrusts (anteroposterior), Squats (axial), Farmers Walks (axial/anteroposterior), Lateral Sled Drags (lateromedial), and the Paloff Press (torsional) are all effective means of load vector strength training. Additionally, pairing, or supersetting, exercises is a simple and efficient method for incorporating a wide variety of load vectors within a shorter period of time. However, be cautious of rest-periods and exercise intensity as you program based on the individuals needs. While ankle mobility may seem arbitrary in the grand scheme of strength and conditioning, it’s an extremely important issue which many professionals fail to address. Simply, dorsiflexion is the total range of motion a person has in their ankle when flexing their foot towards their face. Following the joint-by-joint approach, a lack of dorsiflexion can lead to a host of problems all the way up the kinetic chain, often times presenting itself through various injuries/pain in the knee, hip, and low back. To illustrate, imagine an individual with insufficient dorsiflexion trying to back squat. As he/she descends into the movement and is blocked by a lack of ankle mobility, their body will find the path of least resistance and compensate through the use of inefficient movement patterns. If you’ve ever seen a person squatting with heels off the ground and knees tracking significantly forward/over their toes, you know what I’m referring to. If you haven’t, take a look at the picture above. Well…not quite. Their lack of mobility has caused them to compensate through the use of inefficient movement patterns and load the knees with an unnecessary amount of weight. Acquire sufficient ankle mobility, teach her/him how to squat properly, and watch the knee pain disappear. 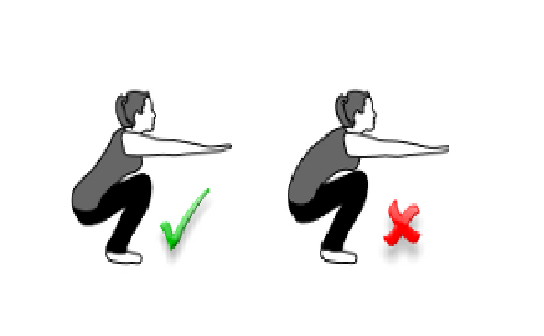 Have you ever watched a person squat and noticed their ankles caving inward? Often times this is due to poor ankle mobility as the foot is forced into excessive pronation, causing the ankles and knees to cave inward along with it. This excessive internal rotation creates an extraordinary amount of stress, setting her/him up for some nasty injuries in the very near future. Again, sufficient ankle mobility is necessary to prevent these issues and allow for long-term success. Rounding of the lumbar spine during the squat is often blamed on tight or stiff hamstrings. While this could be the case it’s certainly not the only possibility. As described above, poor ankle mobility will cause an individual to reach her/his squat end-range of motion more quickly, forcing them to find movement elsewhere in the body. In this case, as the individual squats and becomes blocked by their lack of ankle mobility, the lower back may round out putting excessive strain on the spine. 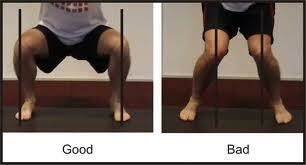 So how much dorsiflexion do we need and what can we do to improve it? Generally speaking, an adequate range of motion would be 20 degrees of dorsiflexion. To test your ankle mobility, you can actively (by yourself) or passively (with a partner) flex the ankle to its end-range of motion. The picture below depicts an ankle being passively dorsiflexed to 20 degrees. Note: Do NOT stretch your ankle to the point of discomfort. Once you reach a clear stopping point, end the test. To improve dorsiflexion I encourage you to incorporate self myofascial release (foam rolling) and various ankle mobility drills into your warm-ups, between strength sets, and even on your rest days.